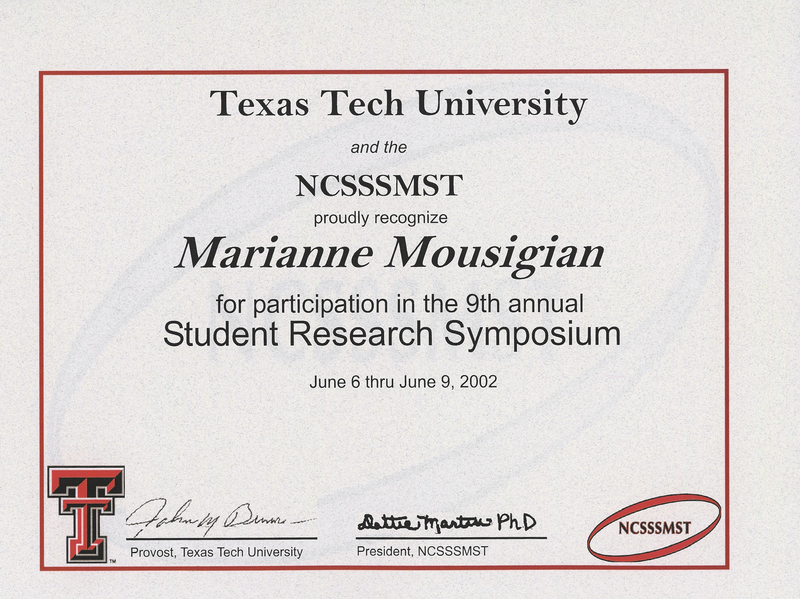 During my freshman year of high school, I was selected to attend the 9th annual NCSSSMST Student Research Symposium in Lubbock, Texas. I was fortunate enough to be one of two students whom had the opportunity to represent the Dearborn center for Math, Science, and Technology. This opportunity allowed me to see some outstanding research projects done by high school students and provided me with ideas. Also while at the conference, I was able to meet many other gifted students who attended similar types of schools to the DCMST. We were able to share thoughts, ideas, and experiences with each other. It was a wonderful experience to meet more students of such high caliber. During my freshmen year, I was interviewed by The Detroit News for an article about the DCMST. This opportunity allowed me talk about all of the wonderful things DCMST had to offer. I was very honored to be one of the two students chosen for this interview. Though I have stayed involved at my home high school, Dearborn High, I have been most involved in the DMCST. Since I feel very comfortable speaking in front of people, I volunteered to speak at the student/parent orientation for the incoming freshmen to our school. I was able to answer questions about the school from a student's perspective. I also volunteered to help with the DCMST open house. While I was there, I helped to showcase some of the outstanding work that had been done by myself and my peers. Both of these experiences helped me with my presenation and speaking skills by increasing my self-confidence.